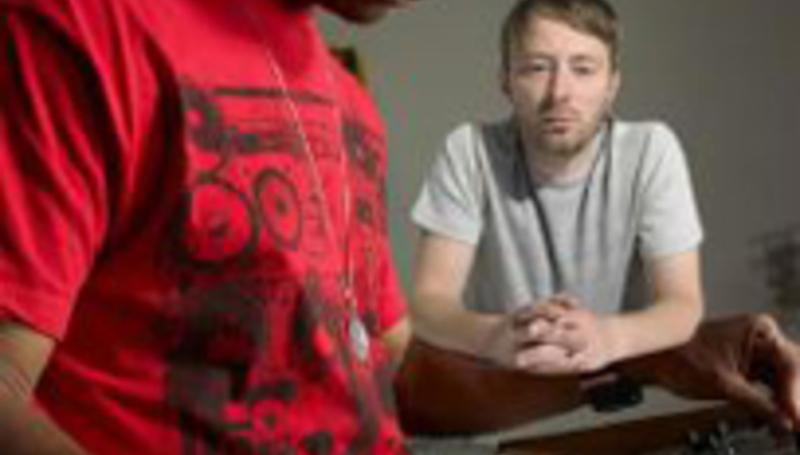 A hip-hop remix album of Radiohead’s In Rainbows is being put together by California-based DJ/Producer Amplive. Amplive, one half of backpack hip-hop duo Zion I and beat-maker for the likes of Akon and Talib Kweli, plans to release Rainydayz Remixes on the 10th of January. The eight-track accoutrement features contributions from Too Short, Zion, Del Tha Funkee Homosapien among others. By now anyone with a decent brain will probably hear legal bells ringing – looks like no such worries. The record will be available only as a freely downloadable zip file and you’ll have to prove you bought In Rainbows from Radiohead’s official store W.A.S.T.E. if you want it at all. How? If you did buy the record the way Thom intended you’ll have no doubt received a few emails from W.A.S.T.E. – forward one of those to amplive@onesevensevensix.com to receive your hi-res artwork and 320kbps wad of sound; the full tracklisting and contributors list of which will be announced on the 4th of January. Find a couple of the tracks here, at Amplive's MySpace.